Scott DeVoss (left) and Klisman Sousa have joined FC Tucson on loan from the USL Championship's Hartford Athletic for the 2019 season. 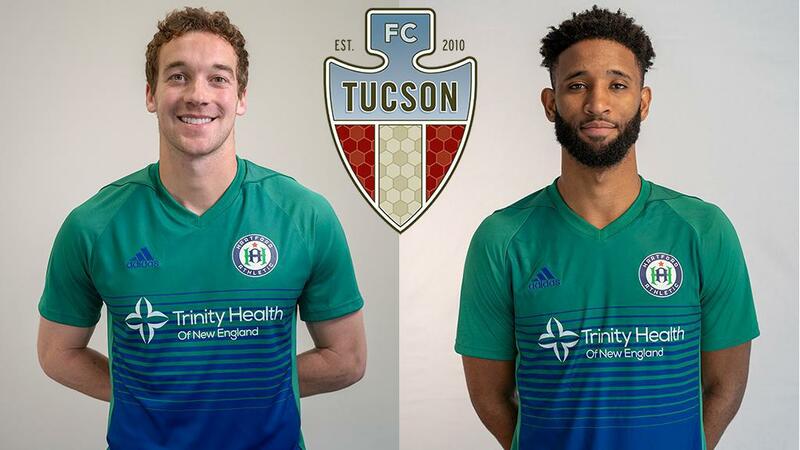 TUCSON, Ariz. – FC Tucson announced on Thursday it had acquired defenders Scott DeVoss and Klisman Sousa on loan from USL Championship side Hartford Athletic for the 2019 USL League One season, pending league and federation approval. The club also announced Illijah Paul – who earlier this year signed a USL Academy contract with the club’s Championship partner Phoenix Rising FC – had also joined the side ahead of its home opener this Saturday against Toronto FC II. In his first professional season, DeVoss played collegiately at the University of Denver where he registered a school-record 83 career appearances and six goals during his tenure with the Pioneers. Selected in the Third Round of the 2019 MLS SuperDraft by Orlando City SC, DeVoss signed with Hartford ahead of its inaugural season in the Championship having previously competed in USL League Two for the Colorado Rapids U23. Sousa earned All-Big East Second Team honors in his senior season at Providence College last fall, capping a career for the Friars that saw him register nearly 4,000 minutes over 55 career appearances. Paul became the youngest player in Rising FC history when he signed a USL Academy contract with the club aged 16 years old in February. A native of Gilbert, Arizona, Paul most recently played with the U16/17 Real Salt Lake Development Academy team in Utah. In 16 appearances (13 starts) Paul led the team with 10 goals.